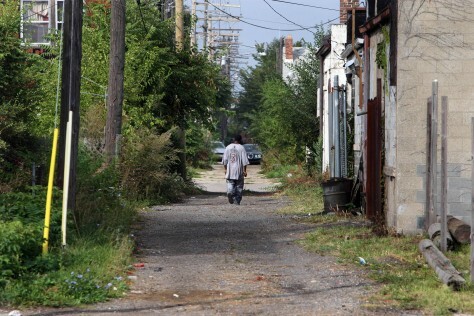 A boy walks in an alley in west Detroit. Roughly one in four working-age adults is jobless in Detroit. The situation is more dire for 16- to 19-year-olds who face an unemployment rate of 57.4 percent, according to the state Department of Energy, Labor and Economic Growth, citing last year's U.S. Census figures.